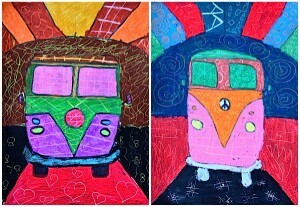 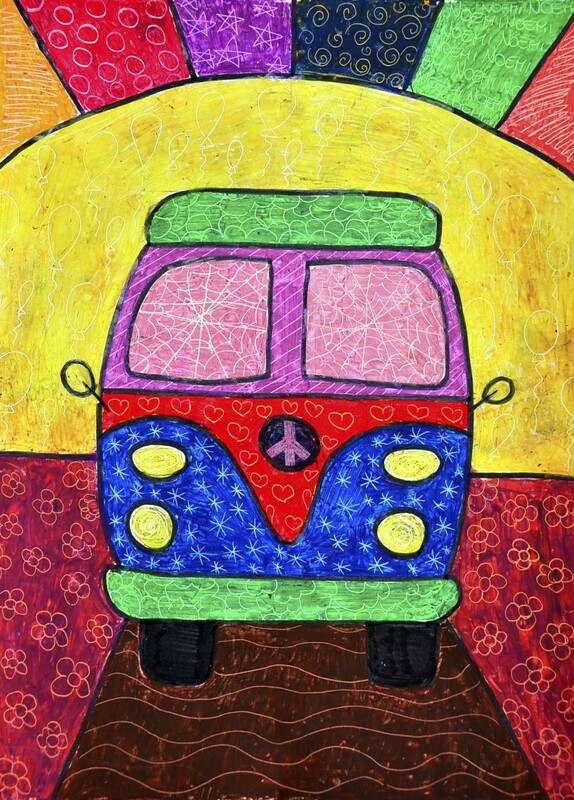 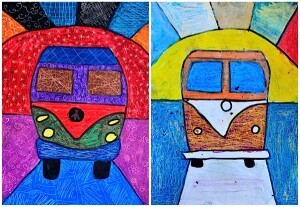 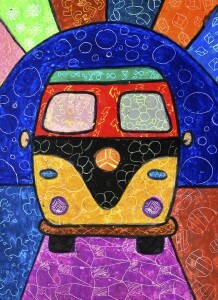 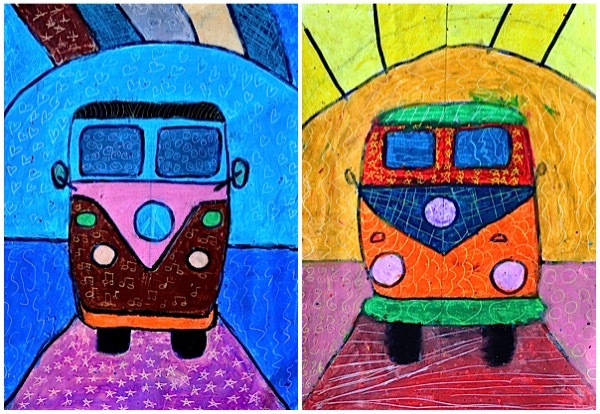 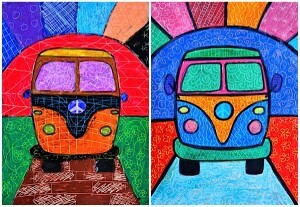 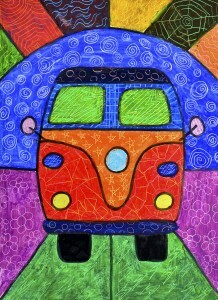 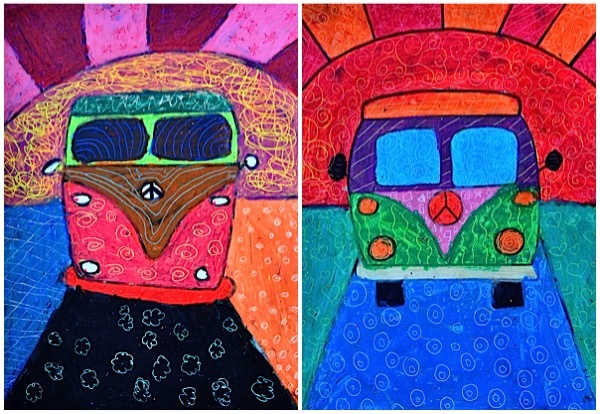 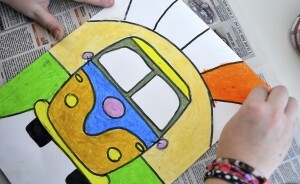 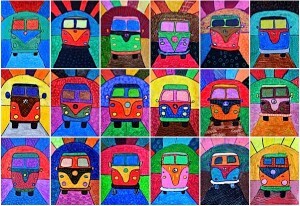 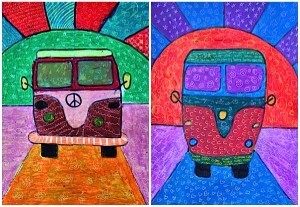 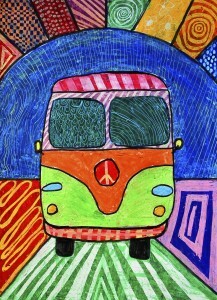 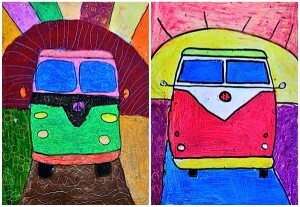 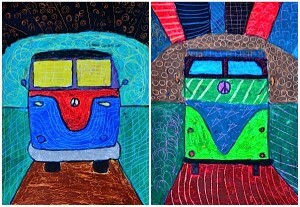 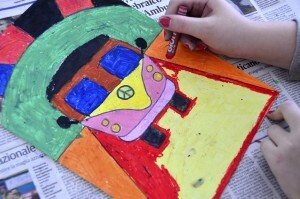 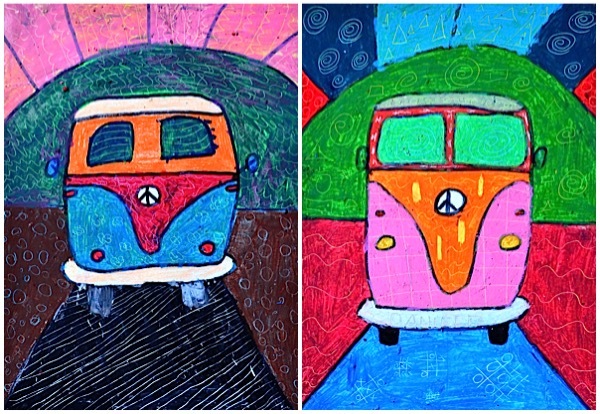 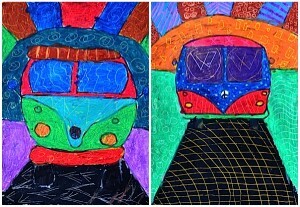 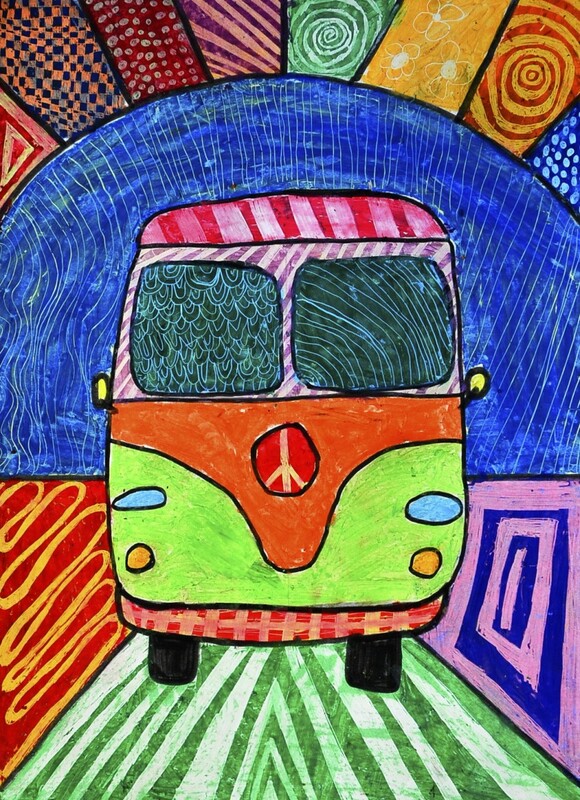 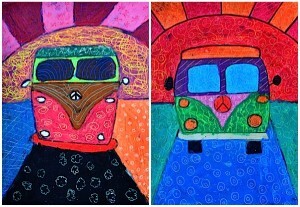 Here is the classic van of the 60s, drawn with oil pastels and decorated with the technique of sgraffito. 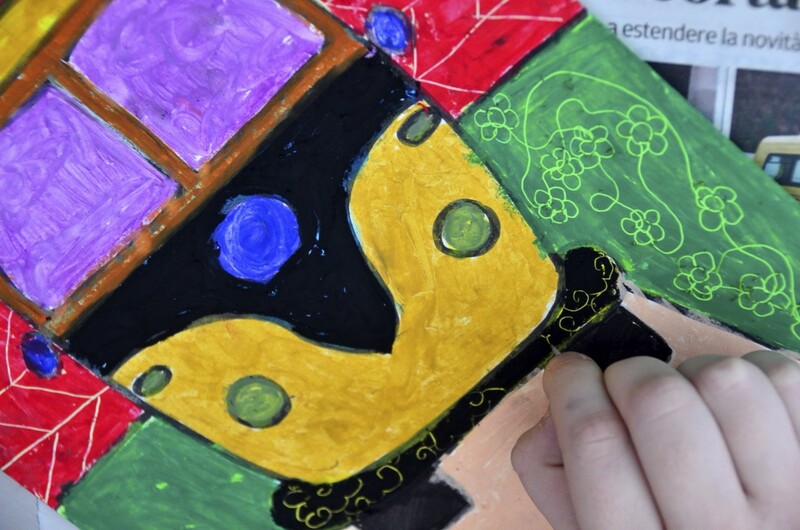 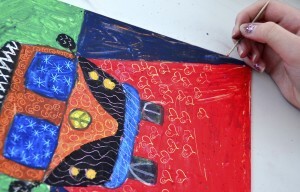 In 6th grade classes we have experienced a new way to create a texture with oil pastels. 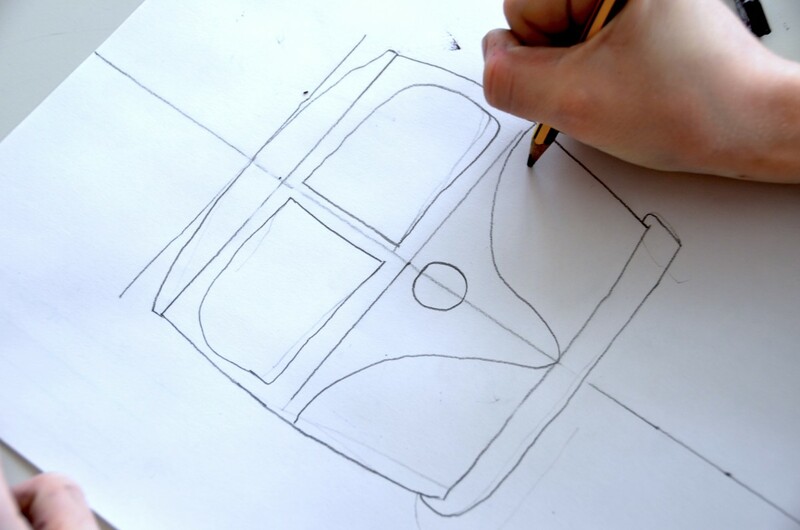 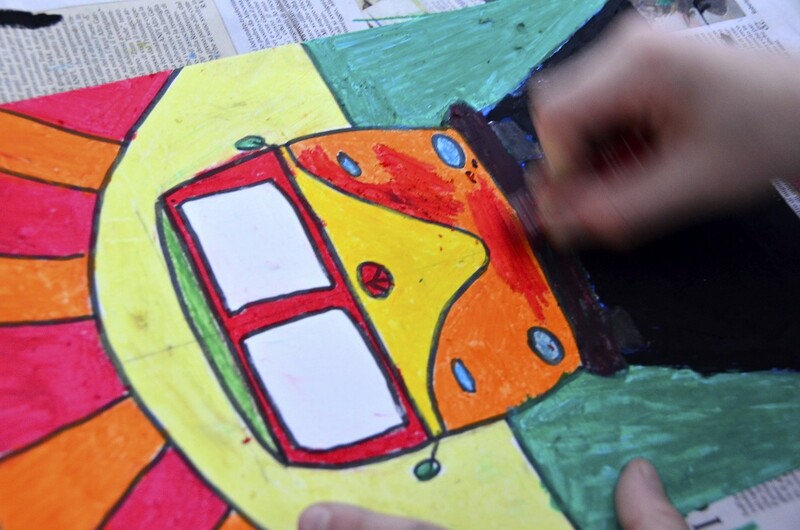 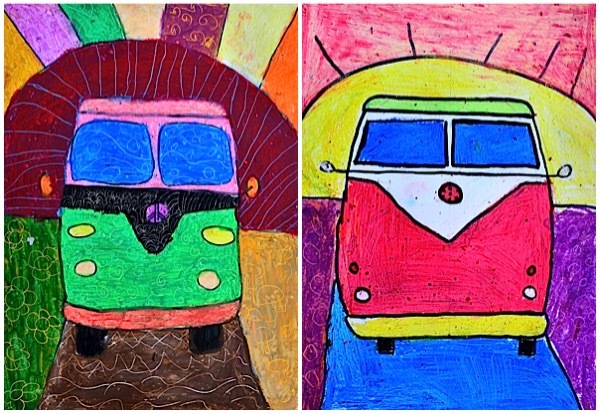 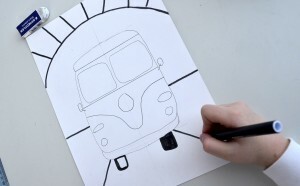 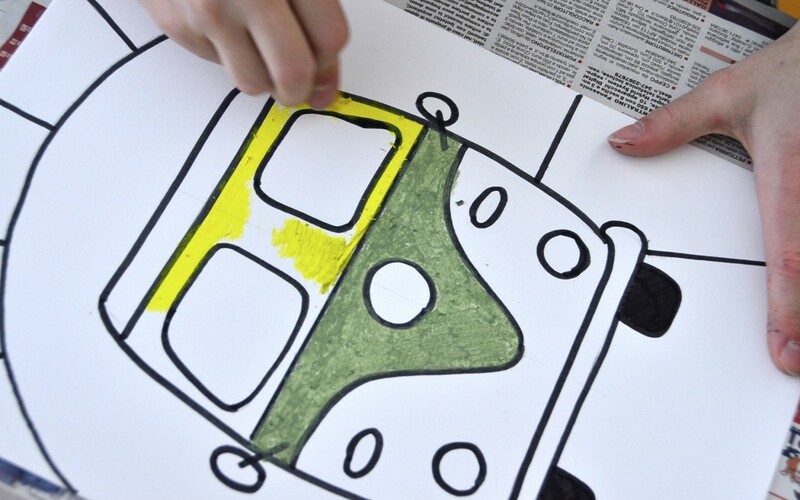 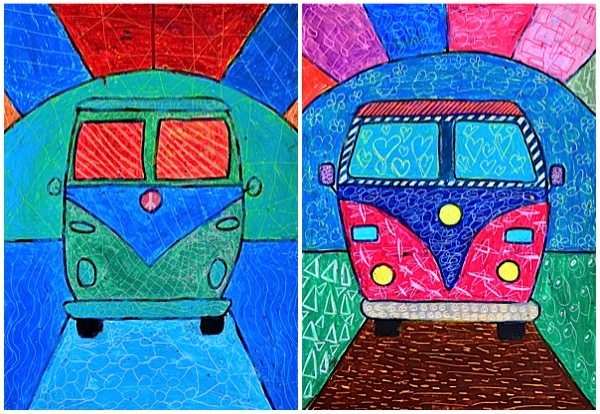 After drawing freehand our van, we colored every part with oil pastels, making sure to use only light colors for the first layer of color. 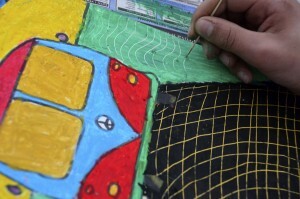 We then covered the fields of light colors with a second layer of darker colors. The last step was to scratch the surface of the color with a toothpick, in order to show the layer of underlying light color. 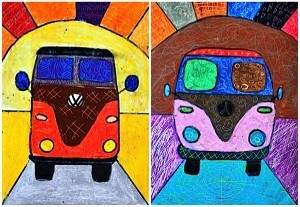 The decorations are imaginative textures and give a real “Hippie look” at our van! What size of paper did you use?